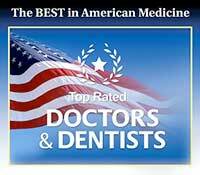 Teeth whitening is one of the most popular cosmetic dentistry procedures that is offered today. Over time, everyone’s teeth become dull, discolored, and stained. This tooth discoloration is a result of natural aging and lifestyle habits. At Riverdale Dental Center, we can eliminate these cosmetic flaws and restore the shine to your pearly whites. Whether your teeth are severely discolored and stained or you just want to make your smile a few shades whiter, Dr. Jon C. Bauman can help you achieve the smile you have always dreamed of with professional teeth whitening in Brighton, Colorado. There are a number of teeth whitening options available, and the market is flooded with over-the-counter teeth whitening kits that promise to give you a perfectly white smile. These over-the-counter methods can be messy, difficult to use, and can take weeks or months to show results. The professional services that we provide are handled by our experienced dentist and dental team to help you achieve the results you desire. With our in-office whitening treatment, you can see the results immediately, and your teeth can become as many as eight shades whiter in just a single visit. We also have at-home whitening options, where we can provide you with a custom whitening tray that is molded to fit your teeth for better results. If you have any questions about teeth whitening, we encourage you to call or visit our office, and be sure to ask about our Whitening for Life special. We are eager to give you a bright, white smile!